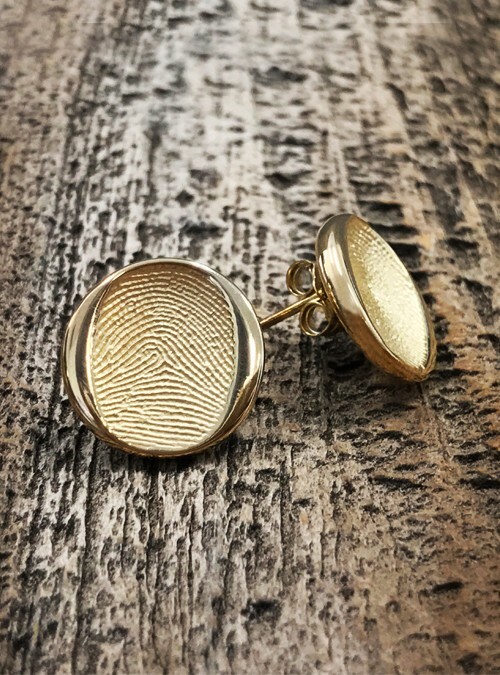 Earrings customized with a single fingerprint or two different fingerprints in yellow gold. The most personalized earrings on the market! 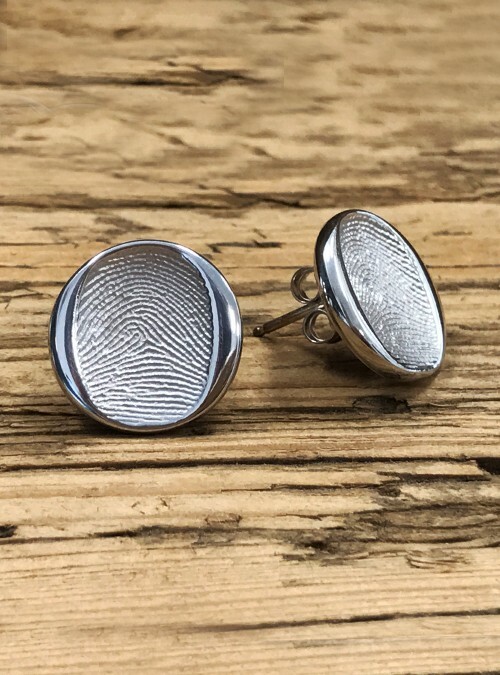 Customize earrings with the fingerprints of one or two of your favorite people in beautiful yellow gold with a high polish.